What's The Greatest Hatchback Of All Time? Ever since the photos of the BMW 3-Series GT dropped this week, I've been thinking a lot about hatchbacks. Hatchback design is hard to get right. Sportscars are too, definitely, but there's a lot involved with getting a hatchback correctly. Pull it off and you get the Audi A7. Do it wrong and you end up with the Dodge Caliber. In addition, the hatchback may be the most-used bodystyle on the planet. It gives us everything from the Mazdaspeed3 to the Yugo. Thanks to their inherently utilitarian design, we get a massive variety of cars in hatch form. So here's our question this weekend: What's the greatest hatch of all time? 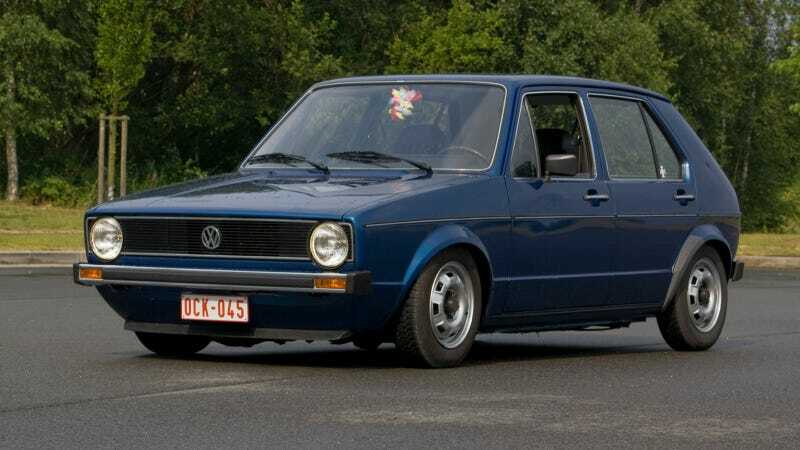 I may lose points here because obvious answer is obvious, but I'll nominate the MK1 Volkswagen Golf. Was it the first small, front-wheel-drive hatchback? Absolutely not. But it was a revolutionary design for VW, one that moved them away from rear-engined air cooled cars. It caught on like wildfire and spawned a slew of imitators from every corner of the globe. Modern cars in general owe a lot to the original Golf. It helps that with the GTI, it effectively gave birth to the beloved hot hatch genre, too. What do you consider the greatest hatchback the world has ever seen? Probably not the 5 Series GT, am I right?